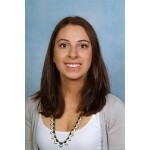 I am a current Textiles and Design teacher with over 5 years experience in Southern Sydney. I have taught Preliminary and HSC Textiles and Design to many students and achieved a band 6 in the subject myself. I have a Bachelor of Education/Bachelor of Arts (Secondary - Technology) and a Masters of Education (Leadership and Learning). During my undergraduate degree I also worked in the industry at Willow and have been acting TAS coordinator at my current school. Lisa has no blog post yet. Start a chat now if you have any blog post topic for Lisa. How would you rate Lisa?